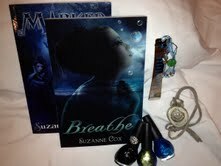 Book Blitz: Breathe by Suzanne Cox + Giveaway! 17 year old science prodigy, Laney Brookes, is looking for two things: a cure for the flu virus that’s ravaging the world and the truth about what happened to her father. Using clues from her father’s secret journals, she and her two friends Kate and Carter follow what she thinks is the path to the answers. 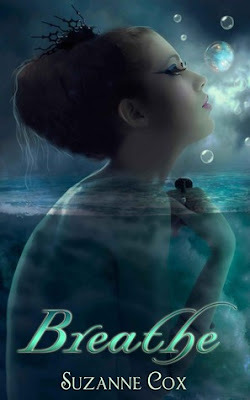 It’s a path that lands them in the lost world of Atlantis, a world struggling to survive. Laney finds more than just answers in Atlantis. She finds love. To get her friends and herself home, Laney will have to travel into enemy territory, led by Andrew a young Atlantean determined to return his people to power. In the process she’ll even unravel the mystery of her missing father. But first, she’ll have to figure out who the real enemy is. I remember writing my first stories when I was about nine or ten years old. I’ve been writing ever since. In 2002 I decided to seriously try and get some of my work published. On February 14th of 2005 I sold my first book, A Different Kind of Man, to Harlequin Superromance. While trying to decide what I wanted to be when I grew up, besides a writer, I went to college (alot) and worked a variety of jobs. I have a bachelor of arts in English with a minor in secondary education, a bachelor of science in nursing, a master of science in career and technical education with an emphasis in adult education and most recently, a master of science in nursing as a family nurse practitioner. I was also a National Board Certified Teacher in career and technical education. Along the way I’ve worked as a high school English teacher and an elementary teacher. I’ve worked as a registered nurse on a cardiac unit, brain injury rehab unit, and several different medical-surgical units. I’ve also done stints as a home health nurse and a commnunity health educator at a hospital, and many years as an allied health instructor at a high school career and technology center. Presently, I’m working full time as a family nurse practitioner at an inpatient psychiatric facility. If I’m not writing I like to spend time reading. My husband and I share our home with our four legged children. Our boy and girl in puppy dog clothes, Toby and Sassy, who masquerade as Miniature Pinschers. We are also owned by three cats Chase, Jackson, and Spots. We are all terrorized by Gray Kitty, a stray who decided to stay and take over. (1) copy of Breathe & (1) Marked. Sparkly nail polish that coordinates with the book cover. A stoneware necklace with concentric circle design from Breathe by Kaatee art. Thanks for hosting the book Extravaganza!! I love this cover!! Hope everyone enjoys!! Thanks again.